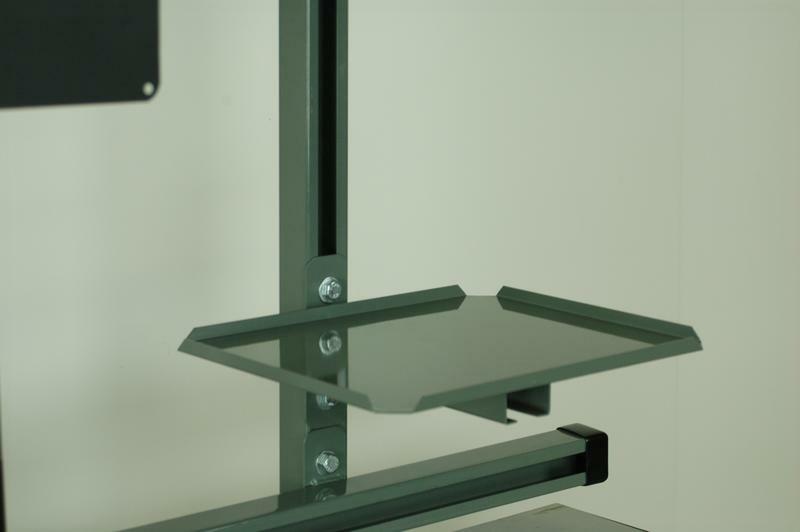 The computer storage retro-fit system includes all the items shown in the above image. 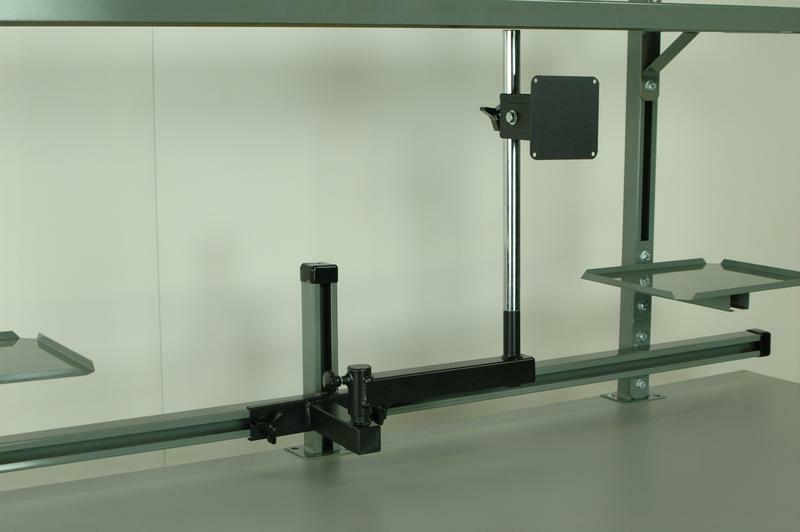 This style system can attach to any workbench because it attaches to the top of the worksurface. 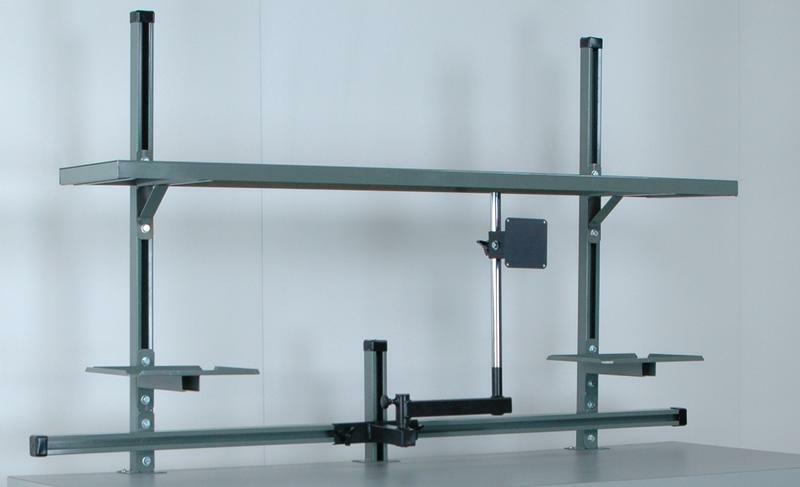 We include the (2) 38" high (top mount) uprights, the left to right sliding articulating monitor arm, the 12" deep adjustable shelf, and (2) 8" deep x 10" wide small trays. 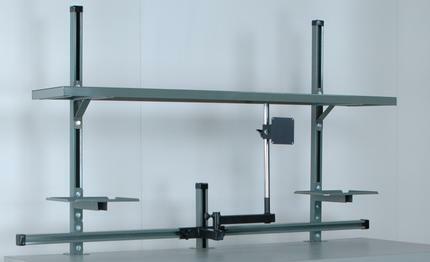 All items will height adjust on the rear bench uprights.